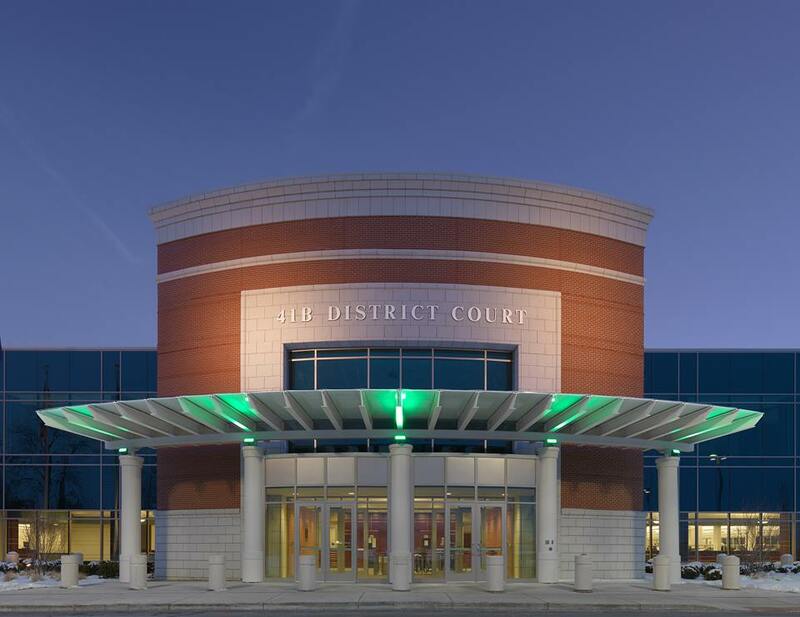 The 41B District Court is located at 22380 Starks Drive, Clinton Township, Michigan, 48038. This Court has jurisdiction which encompasses Clinton Township, Harrison Township and Mount Clemens. It is trial court with full authority to handle all proceedings with respect to misdemeanor offenses that do not carry more than 1 year in jail. The 41B District Court region is densely populated with national retailers (Walmart, Target, Lowes), retail strip centers and the Partridge Creek Mall which opened in 2007. This publication is about the crime of retail fraud (shoplifting) and how it can be managed with a positive result in the 41B District Court. We have practiced criminal law extensively in the 41B District Court and longer than most law firms in Macomb County. I can say that in my nearly 40 years of practicing in this district, the 41B District is a court where the judges will give offenders a second chance as I will explain in this publication. In Michigan, the crime of shoplifting is prosecuted as an offense known as “retail fraud“. Retail fraud crimes are classified according to degree based upon the value of property or money attempted to be misappropriated. An offense can also be enhanced to a higher degree if the offender has a past record for retail fraud. If you find yourself in this position, stop worrying and thinking that you are a bad person. We have represented people from all walks of life that have never been trouble but get caught commiting a petty theft offense and are required to deal with the court system for the first time ever. Don’t attempt to represent yourself unless you are 100% sure that you know how to deal with a Macomb County Prosecutor or city attorney assigned to the case. In addition, you will be judicially interrogated at some point in time. Saying the wrong thing can result in the case being scheduled for a jury trial and missing an opportunity to get out of the system. We hear it all the time and so do the judges that preside over retail fraud cases: “I didn’t intend to steal anything, it was a mistake” and “why would I need to shoplift something when I had the money to pay for it.” Don’t fool yourself into believing that you can win your case with these assertions. These are old tired excuses that are likely to result in a guilty verdict at trial. I would say that these excuses honestly apply to a less than 5% of all retail fraud cases, yet we hear this from about 50% of the clients that come through our doors. Again, saying the wrong thing in the courtroom can get you stuck in system and lead to a devastating irreversible guilty verdict. Getting Out of the System with a Delayed Sentence and Dismissal! If you are caught shoplifting, getting a skilled Macomb County criminal defense lawyer with experience handling retail fraud cases in the 41B District Court is is the right move if you want a shot at getting a second chance. As I have mentioned, it is important to know how to approach these matters with the prosecuting attorney and the judge. In other words, we will protect you from drawing attention to negative aspects of your case. Being successful in the majority of these cases means that we know how to identify a client with the prosecutor and the judge as an “isolated offender’. In doing so, we are able to get a dismissal of the offense after a period of probation under a special provision of law (MCL 771.1) known as a delayed sentence. Upon compliance, the offender can obtain an official copy of the dismissal from the court to prove compliance and that the matter was dismissed. This often all that is needed to save someone future complications associated with employment or college applications.